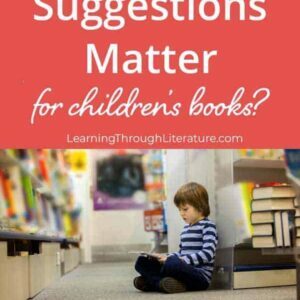 Do Age Recommendations Matter for Children’s Books? 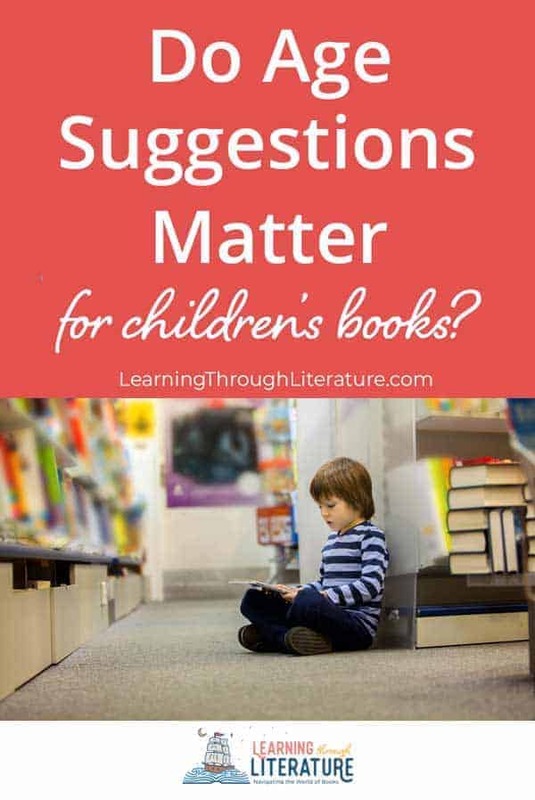 INSIDE: Do Age Recommendations Matter for Children’s Books? Look at the back cover of most children’s books, and you’ll find a suggested age range for the intended reader. It might be the first thing you glance at when considering an unknown book for your kids. Things can get a little fuzzy when you compare age ranges: Ages 3-8, 5-9, 6-9, 7-10, 8-12, etc. If you have an eight-year old, your kid fits into every one of these categories. We don’t think you should always use them. We’re not suggesting you hand Hunger Games to a six-year old. Publishers do have understandable reasons for age recommendations. However, we propose five instances when suggested age ranges could, and sometimes should, be completely ignored. 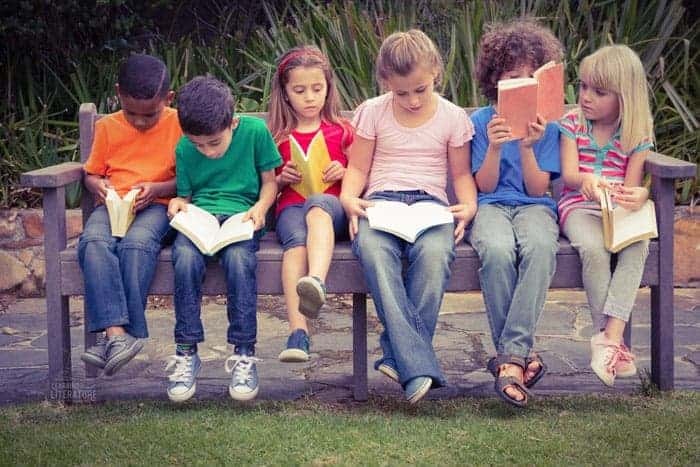 If you have a struggling reader or one who needs some encouragement, let them read below their level to build confidence and general reading enjoyment. A great book a little below your child’s reading level is worth ten “fluff” ones recommended for their age. The same applies to confident yet reluctant readers who need a little nudge to enjoy reading. A beginning reader might need to build confidence reading below their level, but they should certainly be read to above it. 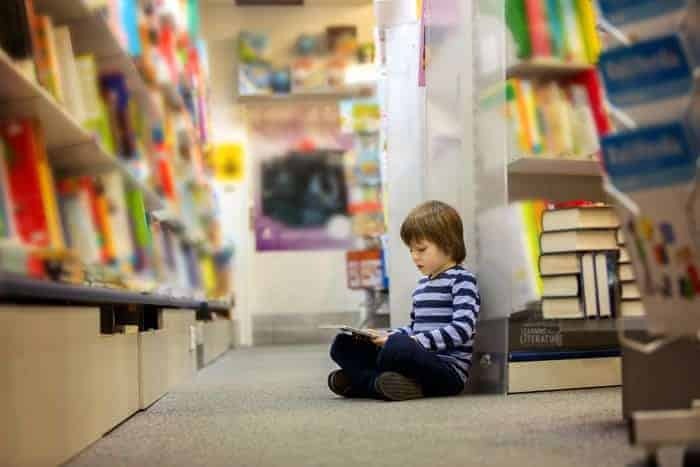 Whether that is before bedtime or through audio books in the car, hearing and digesting a complex story with higher vocabulary on a regular basis is incredibly valuable for their development, not to mention their future love of reading. Some books are better choices for this than others, of course. If you’re not sure where to begin, we have a handful of suggestions to get you started. Click here for The Best Animal Chapter Books to Begin Reading Aloud. Maybe you’re thinking there’s no way your child will sit still and listen at a young age. You’re right. They probably won’t, and that’s completely fine. Here’s a quick list of things to help keep their hands busy while they actively listen. They don’t need to present a dissertation on The Wind in the Willows after hearing it. Whatever they get from it is great, whether it’s a good laugh from the clever silliness of the writing or the start of a new habit of listening to stories. Bottom line: they are probably getting way more from it than you realize. However, if a book is not holding their interest, give yourself permission to drop it. Seriously. It doesn’t mean they’ll never love that book. Come back to it at a later time. One story simply cannot cover everything about any one topic. Great historical fiction can present an in-depth viewpoint of history through one perspective but cannot cover every perspective on the topic ~ no matter how detailed it might be. The best books present a specific lens through which to view a topic, to gain empathy, possibly to change how you see things. But they can’t show you everything. When you want to introduce a complex topic with a broad view, lower the age level and bring out a variety of picture books. The best picture book biographies have carefully chosen words to convey a rich story in a small space. They offer a specific perspective on a topic in a short snip of time with plenty to digest on the subject but time to reach for another book. Don’t discount picture books for older kids simply because their age isn’t included on the back. When they are well-written and beautifully illustrated, picture books can be more powerful and thought-provoking than a 40,000-word novel you’re not quite ready to introduce. Let’s say your 8-year old loves books about horses and has read the Billy and Blaze series a dozen times. If you think they’re ready for more of a challenge, bump up the age level a tiny bit within the same topic. They might be ready to try Misty of Chincoteague or King of the Wind, although you won’t find those options if you only filter by ages 5-8 on the Book Finder. Try searching a topic or subject in the Book Finder without age filtering and see what comes up. On the other hand, if you’re not sure a subject or genre will catch their interest, keep it simple at first. Provide enough of a challenge so it doesn’t feel condescending but easy enough to feel like a quick win. A friend of mine has an older son who loves to read. He’s a confident reader who devours all kinds of books above his level but has said for a while that he does not enjoy fantasy. At all. My friend, understanding different tastes in books, never forced it. However, in an effort to test the waters, she gave him a copy of The Hobbit for Christmas and gently encouraged him to try it. He did, and he loved it. It sparked a new interest that he might not have attempted on his own. The Hobbit was an easy and enjoyable dip into great fantasy literature. 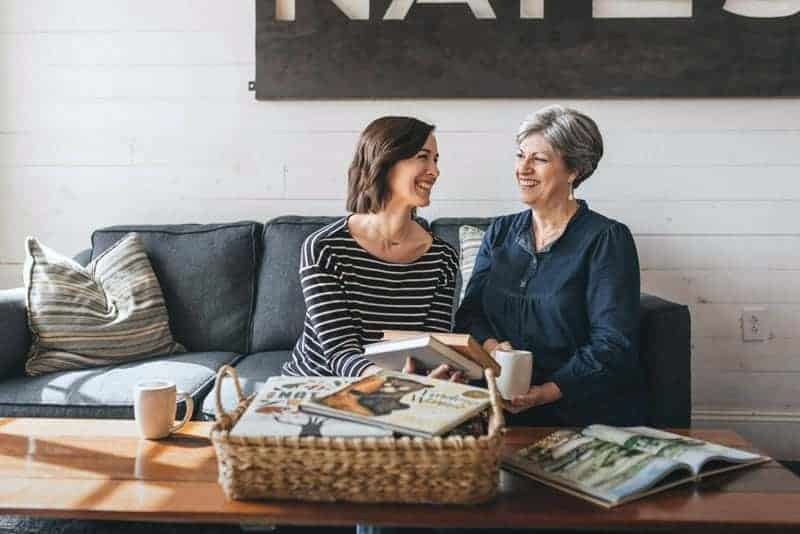 Age recommendations typically ensure that your young child isn’t reading mature content or slogging through overly complex and unfamiliar vocabulary. What age recommendations don’t ensure is that a particularly tender-hearted child won’t have to read about characters dealing with intense situations. Bottom line: It’s important to know your child’s threshold for these types of things and know the books you hand them. We’re curious. What times have you aged up or down on kid’s book age recommendations? Did you find it successful? Click here for another post we know you’ll enjoy! P.S. If you love this post, please share it on Pinterest and Facebook. This is very helpful thanks so much!